We are dealers for Honda, Sherco and Yamaha Motorcycles; as well as Bad Boy Mowers, Honda Power Equipment, and Husqvarna Power Equipment. We stock a large range of Bad Boy, Honda, Husqvarna, Sherco and Yamaha Genuine Spare Parts and Accessories. At Wilder Motorcycles we stock a huge range of motorcycle clothing and accessories from all the major motorcycle brands including Fox, Shift, Scott, 100%, RXT, TAG, Pro Taper, Bark Buster, Oxford, Shark, Ixon, Motul and Yamalube just to name a few. We are stockists of Dunlop, Pirelli, Michelin and Kenda Tyres. 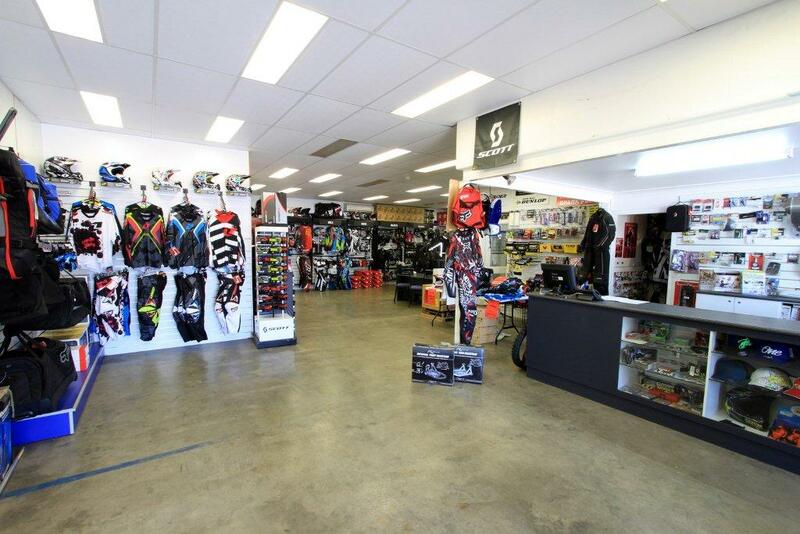 Call in to our store and check out the range, we have the latest gear, and we are sure we have what you need.